Yikes, sounds like it was quite the awkward meeting. In a recent THR interview with Alex Kurtzman, the writer/producer shared the story when he was asked about his worst experience pitching, so it’s nice to know it doesn’t get more cringe-y then this. When Warner Bros. was looking to bring Batman to the big screen at the time, it was following the flick starring the masked hero everyone loves to hate, 1997’s Batman & Robin. You know the super campy one starring George Clooney, Arnold Schwarzenegger as Mr. Freeze and Uma Thurman as Poison Ivy? Batman & Robin was certainly the most kid-friendly flick about the superhero, but it was also the least successful critically and money-wise. 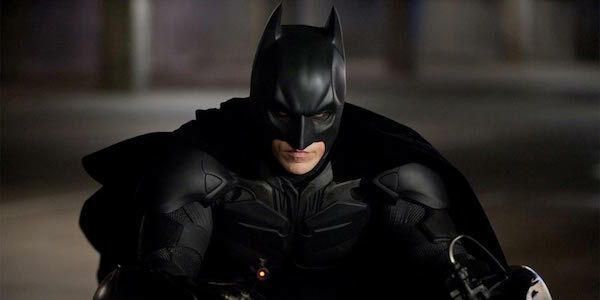 So when Warner Bros. was looking to give the hero another shot at a hit, it makes sense that Christopher Nolan’s dark, gritty take on the Caped Crusader was just what they were looking for. So when Alex Kurtzman and Roberto Orci pitched something else, probably more along the lines of a fun-filled action movie starring Batman, it wasn’t going to cut it. The pair went on to work on the scripts for The Island, Mission: Impossible III, Transformers and 2009’s Star Trek, so I’d say they got their share of working on a successful series or two. Alex Kurtzman and Roberto Orci are responsible for revitalizing the Star Trek franchise, which has grossed over $ 1 billion worldwide and led Kurtzman to be instrumental in putting a new Star Trek series back on television, over at CBS. While Batman wasn’t in the cards for them, they did work on a superhero movie after all — The Amazing Spider-Man 2. Considering the film starring Andrew Garfield and Emma Stone ended up cutting the Sony franchise short, it’s unclear if a Batman movie written by them would have fared better. Who knows? They might have had a really good pitch for Batman. All we know is Warner Bros. wanted the hero to be darker and that’s not what Alex Kurtzman and Roberto Orci were thinking up at the time. Mauricio Pochettino denies supporting Man Utd - but celebrated Champions League final win! Super Gonorrhoea UK: What is super gonorrhoea? What are the symptoms?